Crown-Indigenous Relations Minister Carolyn Bennett says she's proud of the work the Missing and Murdered Indigenous Women and Girls (MMIWG) inquiry has done documenting the tremendous injustices so many First Nations, Metis and Inuit women endure — and she's defending her move to curtail the inquiry's requested timeline, despite pleas to let commissioners carry on for longer. Crown-Indigenous Relations Minister Carolyn Bennett says she's proud of the work the Missing and Murdered Indigenous Women and Girls (MMIWG) inquiry has done documenting the tremendous injustices faced by First Nations, Métis​ and Inuit women — but she's also defending her move to curtail the inquiry's requested timeline, despite pleas to let the commissioners carry on for longer. Since the start of the inquiry in 2016, the commissioners have signalled they would need an extension to the two-year timeline the federal Liberal government originally set. The inquiry was slated to hand over its final report last month — but it only finished the last of its public material-gathering sessions on Friday, after Bennett granted a six-month extension. In that time, the inquiry heard from nearly 1,500 family members over 15 community hearings. However, the commissioners, led by former B.C. judge Marion Buller, have pilloried the Liberal government's move to limit a time extension — accusing the government of trying to shoehorn a report into a timeline that aligns with the election schedule. The final report from the inquiry is now expected in April 2019. A federal election is to be held next fall. In an interview with Aboriginal Peoples Television in October, Buller said Ottawa's refusal to further extend the inquiry was "horribly disappointing." "I'm trying to think of polite words to use, but horribly disappointing not only to us but to Indigenous people and non-Indigenous people all across Canada," Buller said. "We view this issue, or issues of violence against Indigenous women and girls, to be so serious and so important to all Canadians that it should have survived an election cycle." Buller repeated those criticisms in an interview with CBC's Power and Politics Friday, saying the final report will lack some of "breadth and depth" the commissioners had hoped to include in their final report at the outset because of the constrained timeline and other restrictions imposed on it by the government. Bennett said Friday the government's first priority has been the timely delivery of a report to families who have lost loved ones, and to those who have been asking for an inquiry for many years. She said the government settled on a compromise by allowing for more time while rejecting the request for an additional two years. "I think we did the best we could, allowing the inquiry aspect to continue until December 31 and then giving them the extra time to write the report," Bennett said in an interview with CBC News. "The families have been very clear. They didn't want this to go on forever. They wanted something in place." Bennett also noted this was the first truly national inquiry in that all the provinces and territories have issued orders-in-council granting the commissioners some subpoena powers — to demand the production of relevant documents from police on certain crimes, for example. 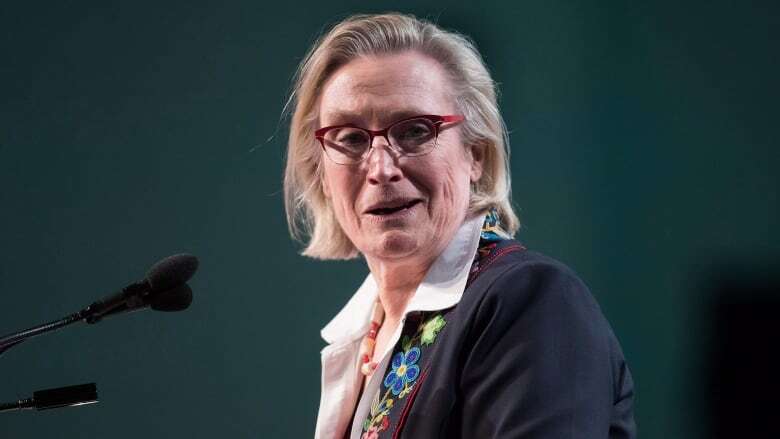 A further extension to the timeline could have resulted in some provinces and territories withdrawing their continued support for the inquiry, Bennett said. Bennett said she hopes that, after the inquiry finishes its work, the whole country has a better understanding of the colonial trauma inflicted on Indigenous women for generations — trauma that has often put Indigenous women in dangerous situations. She said the disproportionate amount of violence Indigenous women have endured is connected to the ugly history of the Indian residential school system, the 'Sixties Scoop' in the foster care system and the current troubled state of provincial child and family services. "People who are hurt, hurt people. It's about what happens when people are harmed as children," said Bennett. "I think that we have come to understand that all the things, shelters, education, and all the things that had been talked about for a very long time, child and family services, racism and sexism in so many of our institutions ... the commission is really confronting the ugly side of the divide that exists in Canada," Bennett said. Buller said the final report will offer practical recommendations that are "actionable," with firm timelines on the government for implementation. "Families and survivors are not going to let the government ignore our recommendations. They're going to hold the government's feet to the fire," Buller said. And yet Bennett said Ottawa is not waiting for the commissioners to complete their final report to implement some of the fundamental reforms it feels could help tamp down violence perpetrated against Indigenous women and girls. "Even before the interim report, we got going on some of these things that got pointed out to us in the pre-inquiry gatherings," Bennett said. First, the government is moving ahead with a plan to fundamentally reform Indigenous child welfare systems in this country, the minister said. Bennett continually pointed to the sorry state of child welfare in her interview with CBC News — condemning a system that so often prioritizes apprehending children in need of care over preventive measures. She said the child welfare system is really the "underpinning" of so many social issues. While just 7.7 per cent of all children under 14 are Indigenous, they account for 52.2 per cent of all children in foster care. "This is about a vulnerability that is preventable. The inquiry is about putting in place the concrete actions to stop this terrible tragedy — and that's what we're going to have to do," Bennett said. Indigenous Services Minister Jane Philpott announced earlier this month that the federal government would hand over the provision of child welfare services to individual First Nations over time in an effort to drive down the massive number of Indigenous children in foster care. Ottawa is working alongside Indigenous partners to "co-develop" federal legislation that will begin the process of devolving authority to First Nations, Inuit and Métis peoples to care for their own children in need of foster care. It's a departure from how the current system works, which often leaves most Indigenous kids housed in provincially governed child welfare systems that critics say ignore their unique cultural needs. Beyond child welfare reforms, Bennett also cited the establishment of a special unit within the RCMP to develop best practices and change the culture of policing as a meaningful development coming out of the inquiry process.